USAF to use F-35B Lightning II against Russia’s Su-57 and S-400 systems in Syria? Browse: Home / USAF to use F-35B Lightning II against Russia’s Su-57 and S-400 systems in Syria? The US military intends to use F-35B Lightning II fighter aircraft in Syria. According to experts, this type of aircraft has a potential to intimidate forces of the enemy. It is expected that the F-35B Lightning II will be able to perform any mission in Syria. This is the only deck-based aircraft in the Middle East, and the US military may use them for military operations on the territory of Syria, Iraq or Afghanistan. The US Air Force has never used this type of aircraft in combat action before, the USNI News website wrote. “The deployment of the F-35B into U.S. Central Command is a major milestone for the program and validates the aircraft is in the fight right now, conducting real-world operations; it is actively supporting combatant commanders. We look forward to demonstrating the capability of our newest, advanced stealth aircraft during this deployment,” Capt. Christopher Harrison, a spokesman at Headquarters Marine Corps at the Pentagon, told USNI News on September 12. The F-35B Lightning II aircraft is equipped with Block 3F software, which enables the maximum use of data transmission lines and increases the weapon delivery potential. 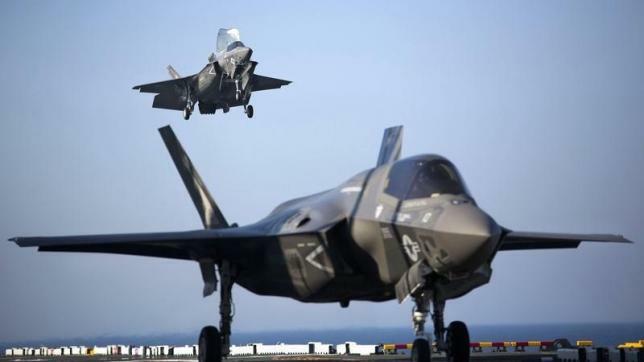 According to Harrison, the ability of the F-35 to operate in A2/AD zones with restricted or denied access gives the US an advantage in conducting military operations. The official also said that the United States, unlike in Iraq and Afghanistan, does not have air superiority in Syria, where Russia also deploys her powerful aircraft and air defences. Therefore, it will be hard for F-35s to compete with Russian aircraft in case of a military conflict between Russian and US forces in Syria. 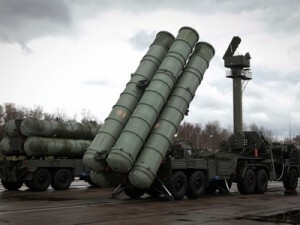 In addition, the US fighter jet will not be able to overcome Russia’s S-300 and S-400 anti-aircraft missile systems. As for the low-visibility technology, the F-35 is inferior to both the F-22 and the Su-57, because the radars of Russian air defence systems operate in a wide frequency range. The manoeuvrability of F-35 aircraft is comparable to that of F-15 and F-16 jets. The armament of the aircraft also raises questions. For example, the air-to-air close combat AIM-9X Sidewinder missile is incapable of overcoming anti-aircraft missile systems. In addition, the aircraft gun that fires 3300 rounds per minute causes the aircraft to swing horizontally. Even if US pilots use the onboard radar of the F-35 to detect and avoid air defence weapons, they will come across serious problems, because all of Russian military facilities are protected with a radar field. One should bear in mind the fact that Russia is significantly superior to the United States in the field of radio electronic struggle.